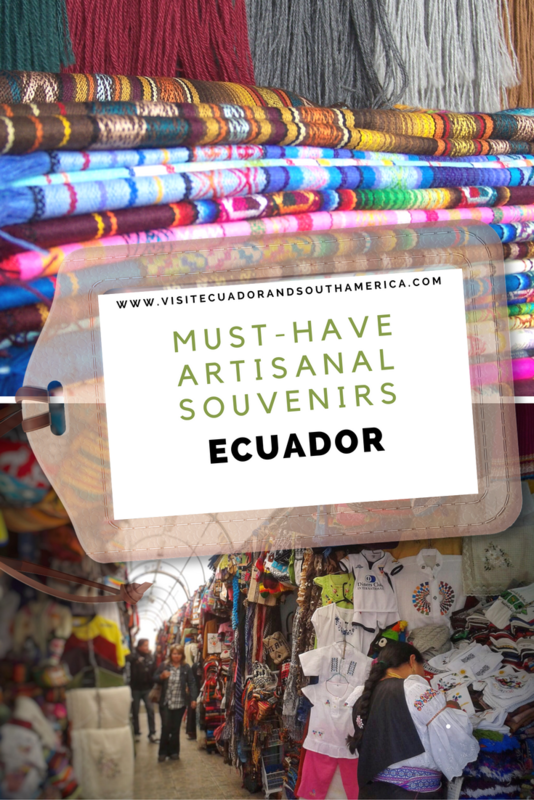 Are you wondering what are the best artisanal souvenirs to share with friends and family a bit of Ecuadorian culture? First of all, we have a mega-diverse country in flora and fauna. Whether you are wondering what to eat and see in this megadiverse country located in the Middle of the World, or want to learn more about this South American country, this is the Ebook for you! July 2017 we launched the Ebook: Must-See and Eat Ecuador and its Galápagos Islands. We donate 10% of our sales to help our fellow Ecuadorians in the Manabí province, who were affected on April 16, 2016 by an earthquake with a magnitude of 7.8. The 10% proceeds go to an NGO that works providing relief in the area. 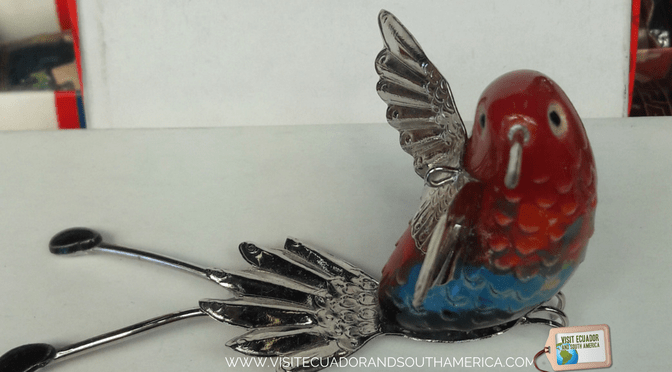 Ecuador is also a country that provides quality materials for the production of gorgeous gifts and souvenirs. Hence the many lovely souvenirs available from each region of my country. Another thing that I enjoy a lot is the variety of souvenirs made with different materials available. There is a lot of creativity and craftmanship in each item, which makes many of them must-have artisanal souvenirs. After years of buying gifts to family living abroad, friends coming over and now living abroad, these are my top suggestions for all of you travelling to this magnificent South American country. I-guana craft is a company created by teacher and talented artist Belen Carpio. Belen is an Ecuadorian based in Florida who wants to showcase some of the beautiful materials and crafts of the country, giving them a modern twist. Her final product results in a wealth of lovely Ecuadorian handcrafts, perfect for a gift and to decorate your home. Made by Pyro is a company created by mother and interior designer Linda Tovar. In a ludic and original way she has captured the identity of Ecuador in her toys and jigsaw puzzles. Kids test and strengthen resilience through play and later on through the memory of those experiences. In addition, these jigsaw puzzles are not only the best toys, but also make for unique memorable souvenirs that you can bring home from your trip to Ecuador. Get your Ecuadorian inspired jigsaw puzzles! Leave a message or call for orders. The country has a mining industry with silver being one of the main materials used to make fine jewelry. Choose the perfect silver souvenir made from precious stones, semi precious beads, horsehair, wood, seeds and fabric for your exclusive tailor-made jewelry. Make sure to contact designer Sandy Pazmiño to order your jewelry. Bring a beautiful piece of local culture with you. I have found that these make for excellent gifts to friends and family, they are easy to wear and light-weight, which means easy to bring in your suitcase. Tagua is a tropical plant known worldwide as vegetal ivory. Artisans use this seed to make different souvenirs, including beautiful jewelry. In addition to being a great gift, it is also a great way to stay eco-friendly. Tagua figures and jewelry are made mainly with compostable materials. Another fact worth mentioning is that no animals are harmed when producing this natural ivory. 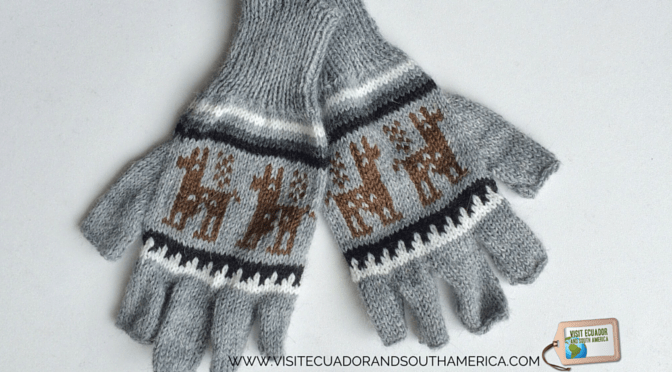 If you want to bring some warm and very traditional gifts back home, your best option is alpaca wool souvenirs. All alpaca items, such as sweaters, gloves, scarves and other clothing items are hand-woven in looms found in two important cities in the Andes: Peguche and Otavalo. I often visit and bring visitors to the open-air market in Otavalo, by far the best place in the country to get artisanal souvenirs and quality alpaca items. 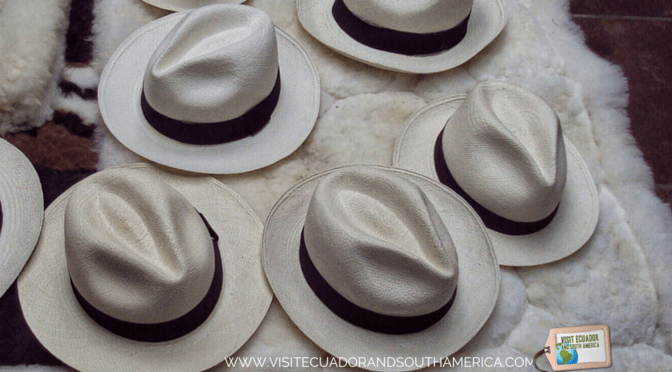 The famous Panama hats, or fedora, are original from Ecuador. Therefore we know them as sombreros de paja toquilla or “straw hats”. We make these gorgeous traditional hats near Cuenca and in Montecristi in the region of Manabí in Ecuador, from there we export and sell them worldwide. 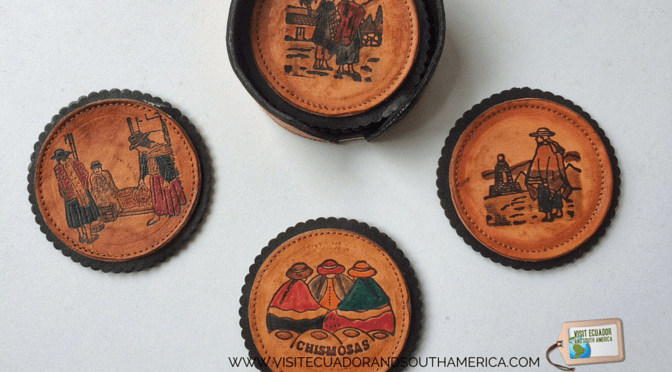 In the country artisans use leather as one of the main materials to make gorgeous souvenirs and clothing in Ecuador. Also, the country has a history of producing internationally sought-after leather goods. If possible plan a trip to Cotacachi in Imbabura province. This city is known worldwide for the high-quality of their leather goods and handicrafts. You can buy delicate items made in wood in many cities around the country. Choose from fine decorations with Inca inspired themes, religious imagery and many other artifacts to bring back home or as the perfect souvenir gifts from your visit to Ecuador. The best place to buy them is San Antonio de Ibarra. 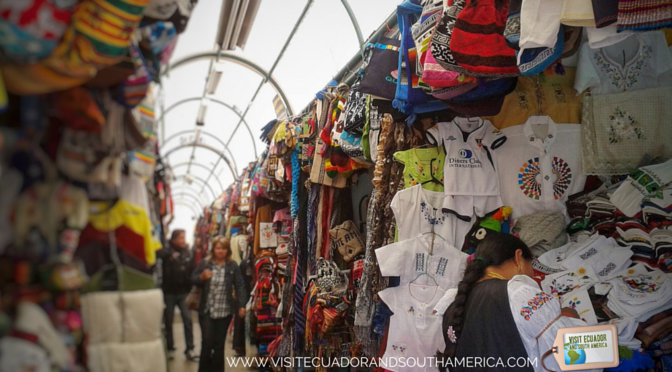 If you are in Quito, you can visit Juan Leon Mera and Avenida Amazonas, where you can find several stores selling artisanal souvenirs. Furthermore, if you are lucky you can get to see some of the artisans working in their handicrafts and buy directly from them. Also, you find souvenir stores at the main airports. Namely, Galapagos, Cuenca, Guayaquil and Quito. In addition, you can find stores offering souvenirs in the biggest shopping centers in the country. In addition, If you have time, you should definitely visit one of the best open-air markets in South America, Otavalo. 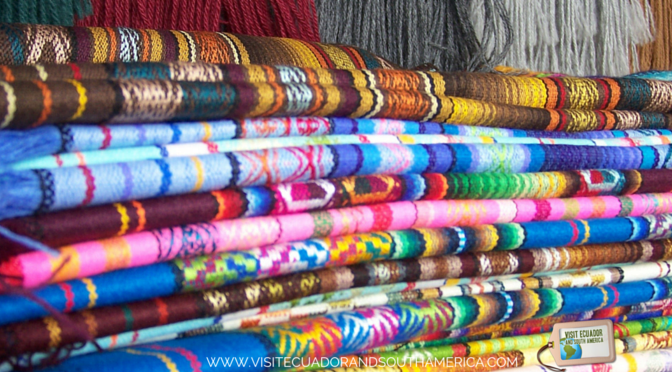 This is the place to go if you are planning on shopping gorgeous and colorful artisanal souvenirs while in Ecuador. 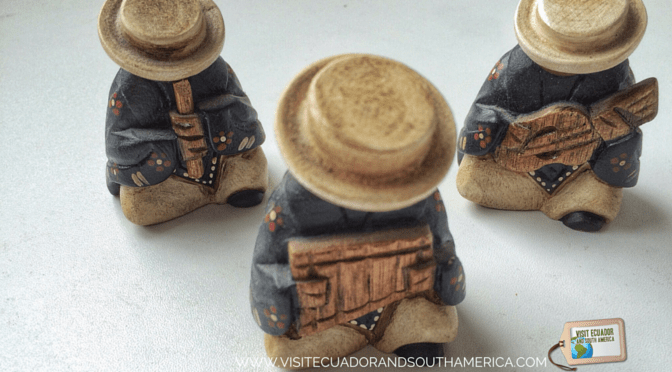 In conclusion, choosing beautiful artisanal souvenirs in Ecuador will allow you to reminisce about the best experiences you had in this South American country, as well as to share them with friends and family.